DE NIRO FANS - ARE YOU LOOKING AT ME? 1) What are your own origins, Ben? Plus what path did you take in life prior to getting to where you are today? My origins are from Germany, with my father from Munich and my mother from Hannover. I am a Greek by the way, and that is where I grew up and currently call home! But alas, my parents divorced when I was two years old so I never had a 'normal family', even though I grew up pretty good thanks to my Mum. Honestly. I had a nice childhood in Santorini -- a wonderful island in the Aegean Sea -- and I remember when we slept we had our doors unlocked. 2) What inspired you to create your fan-site, ‘De Niro Fans’? I created deniro-fans because I could! 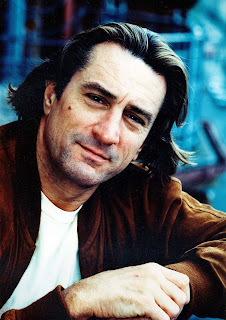 I had just mastered the way of making websites in 2007, and Robert De Niro was -- and still is -- my all time idol. No better way is there for me to show how much I praise De Niro than by making one just for him. Now I don't know if he will ever see it or not but it is made for him. My mom met him once in Bavaria, Germany, and I always hoped to be his son, Ha! 3) What song would you say best represents this site and why? The song that would represent the site for me would be the theme song to 'The Godfather'. Why? Because Robert was born to play the mafia characters, and he is always the best bad boy but with a charm and class of his own. 4) Off the top of your head, what would you say was your top five Robert De Niro films? 5) If you could get a celebrity – except for De Niro – to promote your website, who would you choose, and why would you want to choose this particular person? No. I can not choose any celebrity to promote my website other than Robert himself, because no other living actor could be worthy of doing so. 6) What have you learnt about yourself through this endeavour? And were their any unforeseen obstacles you had to contend with along the way? What I have learned is that you do not have to be one of Hollywood's standard stars to get to the top and set new standards. You need to believe in your self like Robert did and earn your credits after that. 7) During your time in this field, what is the one thing that has kept you in good stead? The one thing that's made me go on all these years is to never give up no matter what. Even though Robert has made some questionable movies lately, this will not take away the history he has written as an actor . We all go through different situations in life and so did De Niro. So we can't judge him for doing what he had to do, and one thing is for sure -- You can't do a 'Goodfellas' every year or 'A Once Upon a time in America', so sh*t will come in between. 8) If ‘De Niro Fans’ had a motto, what would it be? If deniro-fans had a motto it would be, 'never give up the original', and Robert De Niro shows us this motto each and every time again and again and again! So there you have it, dear readers. 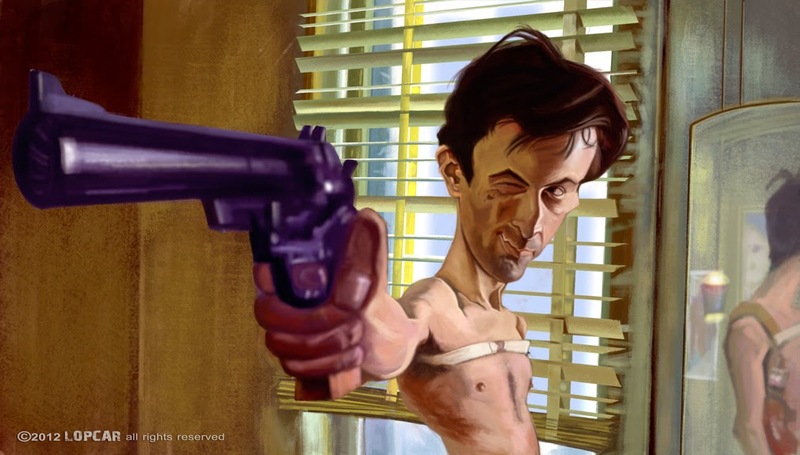 My pal Benjamin Deneke and his Robert De Niro Fan site. I'm sure that when you have the time you'll give it a click or fifty, as well as check out his facebook page. So go on. Give it a stab. Just not with a sharp knife. Ha!